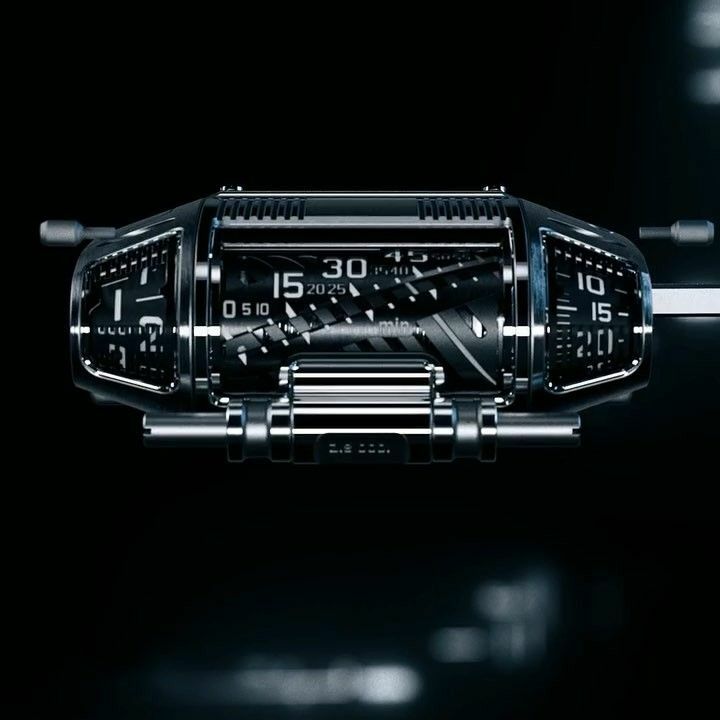 A series of sumptuous attention-grabbing cinematic trailers on Urwerk’s social media channels that hinted at interstellar adventures set up a sense of anticipation for what would turn out to be the new limited edition UR-111. To paraphrase someone in the watch industry, sometimes watch marketing can be so dramatic that there is a risk of a gap between expectation and reality. It would be hard to argue that their teasers weren’t dramatic, but it’s also safe to say that they delivered on their visual promise, with a watch that is technically interesting, incredibly cool to look at, and in wearable proportions. 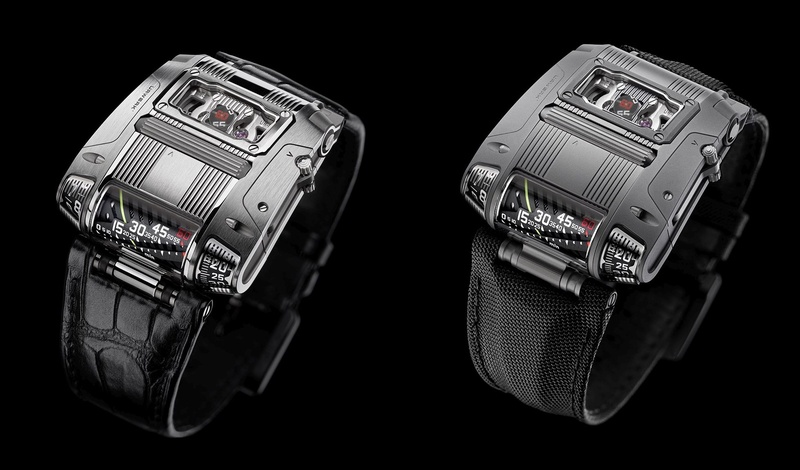 A follow up to the UR-CC1 ‘King Cobra’, the new UR-111C abandons the familiar wandering hour indications that characterise Urwerk and tells the time on a rotating cylinder, and is arguably one of Urwerk’s most interesting recent models. At a glance, you will see that the indications are jumping hours, retrograde linear minutes, digital minutes, and digital seconds. Yes you read correctly, minutes are shown in two different ways; in a linear form and digitally. In two ‘firsts’, an integrated roller acts as a crown, and the running seconds are on a cluster of optical fibres which act as a conduit to transport the seconds indication. The linear retrograde minute indication is inspired by the CC1 King Cobra, but Martin Frei wanted something visually different, and with a longer linear track. In order to achieve the latter, it was decided that the display should slant diagonally instead of horizontally in line with the rotating cylinder that carries the helix marker along the track of minutes. Because of the slanting, it is necessary for the cylinder to rotate 300 degrees about its axis to bring the helix to the 60th minute, simultaneously arming a long, coiled spring. The spring then releases to snap the cylinder forward another 60 degrees, bring the helix back to the start, and make the hours jump to the next hour. The UR-111C’s digital seconds are mounted alternately on two small wheels: 10, 20, 30, 40, 50 and 60 on one wheel, and 5, 15, 25, 35, 45 and 55 on the other. Each of these seconds wheels is openworked, with numerals cut into it was created using LIGA technology. The wheels alternate to show the seconds, transported by a cluster of precisely aligned optical fibres, positioned a tenth of a millimeter above the numerals. The hours and two versions of the minutes are displayed within glass sapphire covers along the side of the case so that you can see them at a glance without turning your wrist. Converting the horizontal movement to a vertical time display required precisely angled transmission with miniature bevel gears. The jumping digital hours and progressive minutes are displayed on rotating truncated cones left and right of the retrograde linear indication of the minutes. 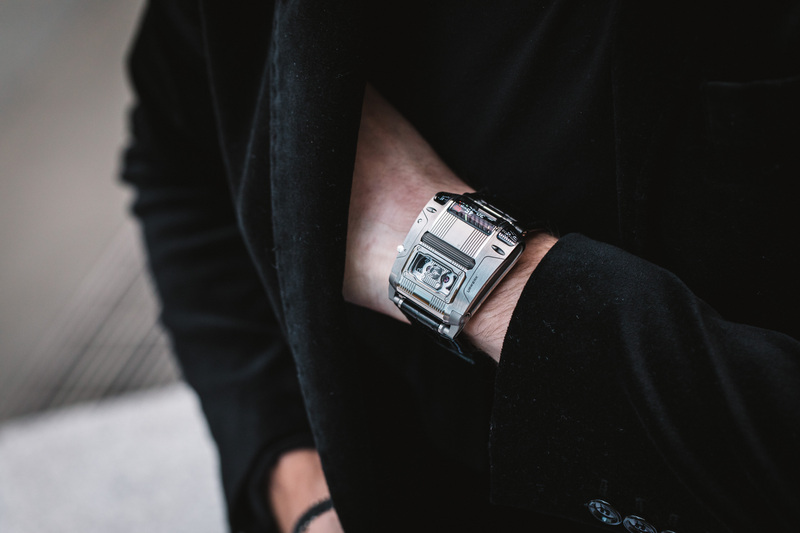 As for the case itself, the new Urwerk UR-111C is available in either polished (UR111C-Iron) or gunmetal (UR111C- Gun Metal) stainless steel. It measures a very wearable 42 mm wide x 46 mm long and 15 mm in thickness. 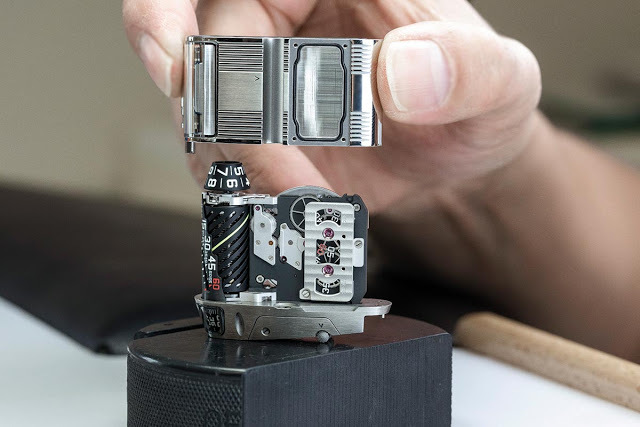 For those who have followed the history of Urwerk, you will know that one of the key parts of the brand is for its pieces to have an active interactive relationship that goes beyond crown winding. In this piece, it through the presence of a fluted roller that you can see in the middle of the top of the case, that replaces the conventional crown, and the way in which the roller is unlocked. The roller is integrated into the top of the case above and parallel to the winding stem. Instead of pulling out a crown you swing out a lever from the side of the case and turn the roller in either direction. Limited to twenty-five pieces in each metal (polished steel or gunmetal finish). The RRP is CHF 130,000 (excluding taxes).